35 And because my words shall hiss forth—many of the Gentiles shall say: A Bible! A Bible! We have got a Bible, and there cannot be any more Bible. 36 But thus says the Lord God: O fools, they shall have a Bible; and it shall proceed forth from the Jews, my ancient covenant people. And what thank they the Jews for the Bible which they receive from them? Yes, what do the Gentiles mean? Do they remember the travails, and the labors, and the pains of the Jews, and their diligence unto me, in bringing forth salvation unto the Gentiles? 37 O you Gentiles, have you remembered the Jews, my ancient covenant people? No; but you have cursed them, and have hated them, and have not sought to recover them. But behold, I will return all these things upon your own heads; for I the Lord have not forgotten my people. 38 You fool, that shall say: A Bible, we have got a Bible, and we need no more Bible. 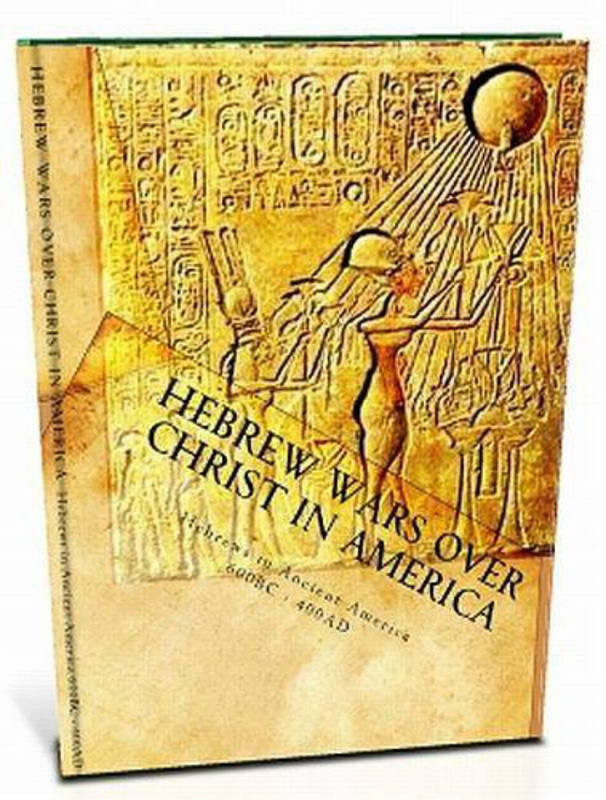 Have you obtained a Bible save it were by the Jews? 39 Know you not that there are more nations than one? Know you not that I, the Lord your God, have created all men, and that I remember those who are upon the isles of the sea; and that I rule in the heavens above and in the earth beneath; and I bring forth my word unto the children of men, yes, even upon all the nations of the earth? 40 Wherefore murmur you, because that you shall receive more of my word? Know you not that the testimony of two nations is a witness unto you that I am God, that I remember one nation like unto another? Wherefore, I speak the same words unto one nation like unto another. And when the two nations shall run together the testimony of the two nations shall run together also. 41 And I do this that I may prove unto many that I am the same yesterday, today, and forever; and that I speak forth my words according to my own pleasure. And because that I have spoken one word you need not suppose that I cannot speak another; for my work is not yet finished; neither shall it be until the end of man, neither from that time henceforth and forever. 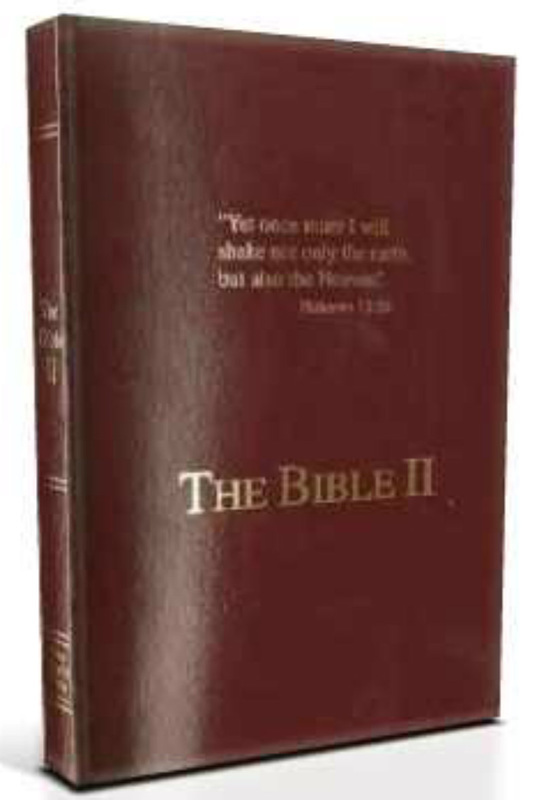 42 Wherefore, because that you have a Bible you need not suppose that it contains all my words; neither need you suppose that I have not caused more to be written. 43 For I command all men, both in the east and in the west, and in the north, and in the south, and in the islands of the sea, that they shall write the words which I speak unto them; for out of the books which shall be written I will judge the world, every man according to their works, according to that which is written. 44 For behold, I shall speak unto the Jews and they shall write it; and I shall also speak unto the Nephites and they shall write it; and I shall also speak unto the other tribes of the house of Israel, which I have led away, and they shall write it; and I shall also speak unto all nations of the earth and they shall write it. 45 And it shall come to pass that the Jews shall have the words of the Nephites, and the Nephites shall have the words of the Jews; and the Nephites and the Jews shall have the words of the lost tribes of Israel; and the lost tribes of Israel shall have the words of the Nephites and the Jews. 46 And it shall come to pass that my people, which are of the house of Israel, shall be gathered home unto the lands of their possessions; and my word also shall be gathered in one. And I will show unto them that fight against my word and against my people, who are of the house of Israel, that I am God, and that I covenanted with Abraham that I would remember his seed forever. 47 And now behold, my beloved brethren, I would speak unto you; for I, Nephi, would not suffer that you should suppose that you are more righteous than the Gentiles shall be. For behold, except you shall keep the commandments of God you shall all likewise perish; and because of the words which have been spoken you need not suppose that the Gentiles are utterly destroyed. 48 For behold, I say unto you that as many of the Gentiles as will repent are the covenant people of the Lord; and as many of the Jews as will not repent shall be cast off; for the Lord covenants with none save it be with them that repent and believe in his Son, who is the Holy One of Israel. 49 And now, I would prophesy somewhat more concerning the Jews and the Gentiles. For after the book of which I have spoken shall come forth, and be written unto the Gentiles, and sealed up again unto the Lord, there shall be many which shall believe the words which are written; and they shall carry them forth unto the remnant of our seed. 50 And then shall the remnant of our seed know concerning us, how that we came out from Jerusalem, and that they are descendants of the Jews. 51 And the gospel of Jesus Christ shall be declared among them; wherefore, they shall be restored unto the knowledge of their fathers, and also to the knowledge of Jesus Christ, which was had among their fathers. 52 And then shall they rejoice; for they shall know that it is a blessing unto them from the hand of God; and their scales of darkness shall begin to fall from their eyes; and many generations shall not pass away among them, save they shall be a pure and a delightsome people. 53 And it shall come to pass that the Jews which are scattered also shall begin to believe in Christ; and they shall begin to gather in upon the face of the land; and as many as shall believe in Christ shall also become a delightsome people. 54 And it shall come to pass that the Lord God shall commence his work among all nations, kindreds, tongues, and people, to bring about the restoration of his people upon the earth. 55 And with righteousness shall the Lord God judge the poor, and reprove with equity for the meek of the earth. And he shall smite the earth with the rod of his mouth; and with the breath of his lips shall he slay the wicked. 56 For the time speedily comes that the Lord God shall cause a great division among the people, and the wicked will he destroy; and he will spare his people, yes, even if it so be that he must destroy the wicked by fire. 57 And righteousness shall be the girdle of his loins, and faithfulness the girdle of his reins. 58 And then shall the wolf dwell with the lamb; and the leopard shall lie down with the kid, and the calf, and the young lion, and the fatling, together; and a little child shall lead them. 59 And the cow and the bear shall feed; their young ones shall lie down together; and the lion shall eat straw like the ox. 60 And the sucking child shall play on the hole of the asp, and the weaned child shall put his hand on the cockatrice’s den. 61 They shall not hurt nor destroy in all my holy mountain; for the earth shall be full of the knowledge of the Lord as the waters cover the sea. 62 Wherefore, the things of all nations shall be made known; yes, all things shall be made known unto the children of men. 63 There is nothing which is secret save it shall be revealed; there is no work of darkness save it shall be made manifest in the light; and there is nothing which is sealed upon the earth save it shall be loosed. ​64 Wherefore, all things which have been revealed unto the children of men shall at that day be revealed; and Satan shall have power over the hearts of the children of men no more, for a long time. And now, my beloved brethren, I make an end of my sayings.